Fundraiser by William Robinson : help lil brando! 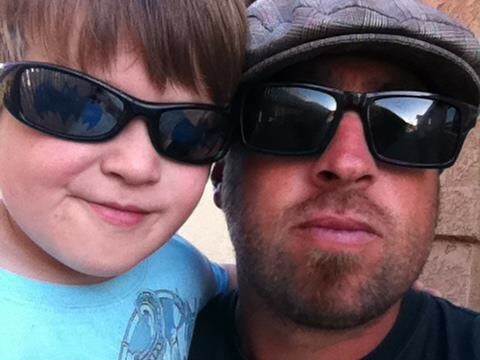 Little Brando's loving dad was murdered by his mom and new boyfriend in Oklahoma. Brando Sr was a hard working dad that did a great job balancing his work life and still raising Lil Brando. Every cent from this site and other fund raisers that im putting on are all going into a trust fund to help little brando with either tools for work, a car, or books if he decides to go to school when he's 18. Brando was an awesome dad, and i want lil brando to know and remembrer that when he gets older. thank you from the bottom of my heart for anything you can help out with. a huge thank you to every one who has donated. everything helps. lil brando is now home with his grandma. now the healing begins. please share this page so we can help him out in the future also. From Ron and Grace Duran, Thank you for doing this. You are so awesome and I'm so glad to know that so many will keep Brandon's legacy alive. Jennifer Duran and her parents. Nothing can replace the amazing father that Brando was, donating money can't possibly compare... but I hope this money can somehow ensure that lil Brando is at least supported for his basic needs. And hopefully, it shows to him how much his dad touched all of our hearts and lives. We will be praying for his family!